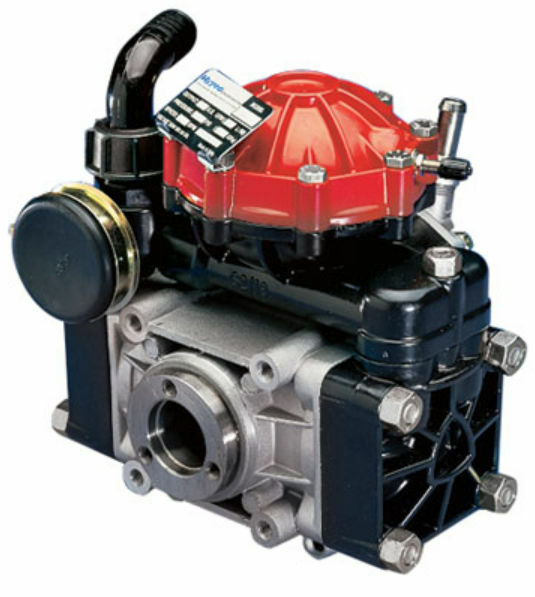 These 2 diaphragm, epoxy-coated pumps achieve up to 9.5 gpm (36 lpm) and 580 psi (40 bar). This series includes models 9910-D30, 9910-D30AP-A, 9910-D30GRGI & 9910-D30-B-GRGI. Pentair Hypro medium pressure diaphragm pumps are recommended for spraying herbicides, pesticides, liquid fertilizers, and many other hard-to-handle fluids. Low-cost maintenance and almost wear-free operation make these pumps ideal for a wide variety of spraying jobs.